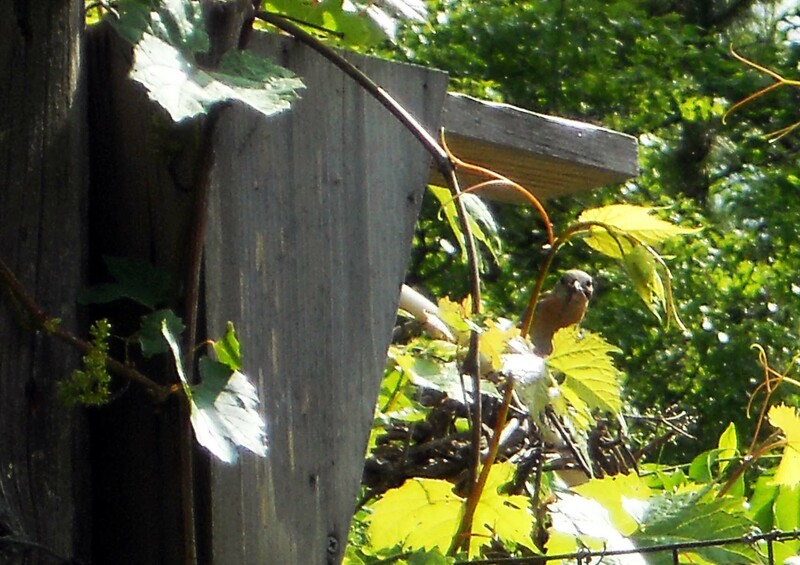 I have a bluebird nesting box at the corner of my garden. Every spring, a pair of Eastern Bluebirds shows up around my birthday (a few weeks from now) to set up household. I don’t know if it’s the same pair every year, or even if they are offspring fledged from the nest the previous summer. Sam watching me . . . watching him. No matter, I named them after my maternal grandparents and each year, same pair or different, I welcome Sam and Betty back to the corner of my garden sanctuary. Then I sit back to watch the show of nest building, predator smack downs, food gathering and baby fledging. Until this very moment, I’ve never questioned why I find so much joy in watching these birds in their dance of procreation. I think, maybe, it’s the reassurance they give that all is right with the world, that minus human weakness and drama, the earth keeps spinning and life continues on. Who better to remind me not to sweat the small stuff than the harbinger of happiness? The association of the bluebird with the emotion of happiness is found in numerous cultures and dates back thousands of years, the oldest evidence being found on oracle bone inscriptions in pre-modern China. Interestingly enough, in the Tang Dynasty the bluebird evolved from a fierce goddess into a fairy queen, the protector of singing girls, novices, nuns, adepts and priestesses – women who dared to step out of traditional roles. Now that’s a legend the MAD Goddess can appreciate. Happiness is based in many things including a feeling of contentment, fulfillment and purpose, in relationships and life circumstances. In the traditional roles of women, we often spend more time and give more effort to ensuring others’ happiness; parents, partners and especially children. This isn’t to say we aren’t happy in doing so, but then one day, we find our nest empty and ourselves wondering, what next? The empty next lies before you with all the promise of a new Spring, just waiting to be seeded with your wildest dreams. How will you manifest your happiness and watch it grow in this second half of life? 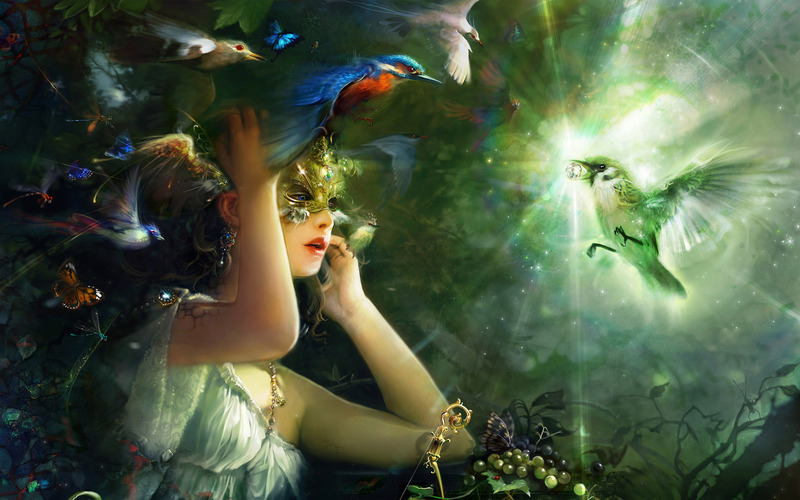 If you are joining me in the *Dark Moon Lodge, we are stepping out and stepping into spring – the season of stirrings. We’re planting our seeds and nurturing our dreams into growth. You can find out more about the journey by clicking here (use the password darkmoon). *When the moon is new, and associated with beginnings, growth and increase, it cannot be seen in the night sky – this is why it is also known as the dark moon – a void, not to be feared, but to be filled.